Guadeloupe expects more than 200 cruise calls this winter season, according to Olivier Bernard Michel, director, cruise, Caribbean and nautical department. 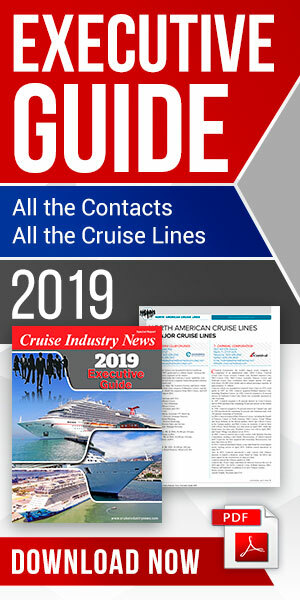 Michel told Cruise Industry News that this translates into some 307,000 passengers, compared to 150,000 last season. The Guadeloupe Port Authority is investing EUR 1.5 million this year, and another EUR 1.5 million next year, according to Michel, to expand and upgrade its facilities, so that for the 2013/2014 season, it will be able accommodate two big ships – homeporting or interporting – at a time. “We are in discussions to have another ship homeport starting in the 2013/2014 season,” he added. Michel explained that other efforts are underway, including training of uniformed taxi drivers and certification of tour guides. The most popular shore excursions are tours to Guadeloupe’s beaches and rainforest. He attributed the cruise build-up to the tourism board and port authority working together, with broad support from other tourism interests throughout Guadeloupe. This coming season, most of the traffic increase will come in Pointe-a-Pitre from interporting calls by Royal Caribbean International and MSC Cruises, while Costa Crociere continues its homeporting operation, and Club Med continues to homeport and interport. First time callers this coming season include Royal Caribbean’s Brilliance of the Seas, Pullmantur’s Horizon, All Leisure Holiday’s Voyager and Crystal Cruises’ Serenity. After making her first call on Nov. 14, the Brilliance will continue to make 22 interporting calls in Pointe-a-Pitre, becoming this season’s most frequent caller. The MCS Lirica will make 11 interporting calls. Michel said the two ships will embark from 100 to 300 passengers from Guadeloupe on each of their calls. The Costa Luminosa, meanwhile, carries mostly passengers from France and Italy, who fly into and out of the Le Raizet airport, which has a dedicated terminal for cruise passengers. Luggage is checked in Europe and delivered directly to passengers’ staterooms onboard. Turning around 19 times in Pointe-a-Pitre this season, the Luminosa provisions in Guadeloupe, buying locally and shipping in from Italy, according to Michel, who noted the positive economic impact this has. In addition, the Club Med 2 will make eight turnarounds in Pointe-a-Pitre. Other callers this winter season include Phoenix Reisen’s Amadea, Saga Cruises’ Sapphire and Quest for Adventure, P&O Cruises’ Azura, Holland America Line’s Amsterdam and World Cruises Agency’s Princess Daphne. The season runs from mid-November to mid-April.